Today I want to revisit an event in aviation history that I have talked about before; however, while recently cleaning up some bookmarks in my research folder I rediscovered a different source on the topic so I want to present that for you today. In early 1914, the Smithsonian Institution lent Glenn Curtiss the remains of the 1903 Langley Aerodrome. This was the manned aircraft that Samuel P. Langley, then the Secretary of the Smithsonian, had tried to fly right before the Wright brothers made their first successful powered flights at Kitty Hawk in 1903. Actually, Langley had tried to fly the Aerodrome twice on 7 October and 8 December 1903 and failed both times. Curtiss rebuilt the Aerodrome, making significant changes to the airframe, wings, drive train, and controls. He then managed to make a few hop-flights off the surface of a lake near Hammondsport, NY. None of these lasted more than a few seconds nor could they be sustained for longer than a few hundred feet. 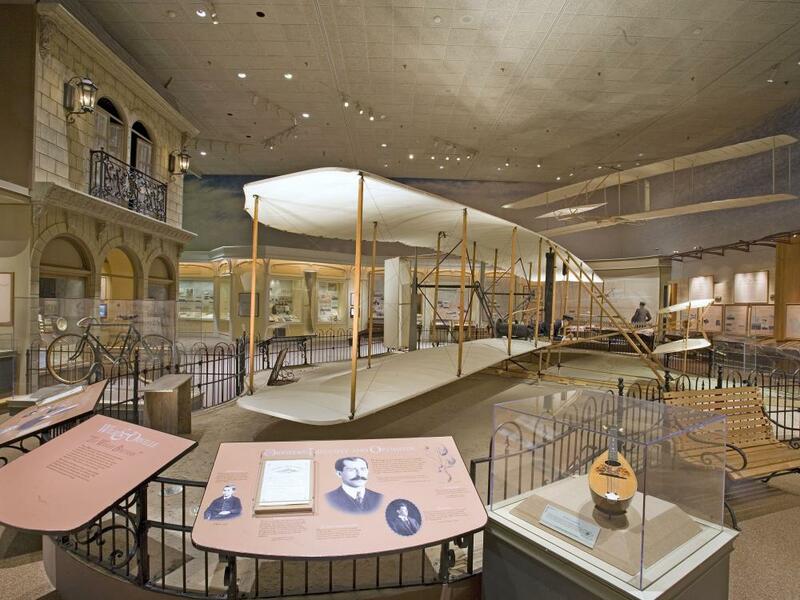 Nonetheless, both Glenn Curtiss and the Smithsonian crowed that these flights proved that the Langley Aerodrome had been “capable” of flight in 1903. It was, they insisted, the first true aircraft. Griffith Brewer, an English patent attorney and a friend of Orville’s, was visiting the United States at the time. At Orville’s request, he traveled to Hammondsport to see what was going on. He shot photos that documented the changes made to Langley’s aircraft, then fired off a letter to the New York Times charging that the flights did not prove that the Langley Aerodrome was airworthy in its original configuration. This letter touched off a controversy that raged for almost thirty years, pitting Orville Wright against the Smithsonian Institution. The reasons that Glenn Curtiss had made these test flights were purely commercial. He had lost the patent suit that the Wrights had filed against him; the courts had ruled not just that the control systems of Curtiss aircraft were derivative of the Wright’s patented system, but also the Wright system was necessary for aerial navigation, period. It was the “pioneer patent” of the aircraft industry. By flying the Langley Aerodrome, Curtiss was attempting to show that another airplane could have successfully navigated the air before the Wrights. Therefore their patent was not entitled to the pioneer status the courts had given it. The Smithsonian’s interest in these flights was political. The reputation of the Smithsonian had suffered greatly in 1903 when Langley’s Aerodrome failed to fly. This made it more difficult to obtain funding, which limited its growth and effectiveness as a scientific organization. The current Secretary, Charles Walcott, felt that the best way to repair this reputation was the show the Aerodrome could have flown; the time and money spent on it had not been wasted. Walcott also had a vested interest in the Aerodrome; it’s failure had affected his reputation as well. He had been involved with the project from its inception in 1898; it was Walcott that had found the backing Langley needed to build the aircraft. When he took over the Smithsonian from Langley in 1906, both the institution and its Secretary were tarnished in the eyes of many. Walcott immediately began to rebuild his political effectiveness and that of the Smithsonian by rehabilitating the memory of Samuel Langley. He created a Langley Medal for outstanding contributions to aeronautics, erected a Langley memorial tablet to immortalize Langley’s own contribution, even decreed a “Langley Day” to remember his many scientific triumphs. In 1914, there was talk of creating a national aeronautics laboratory with an advisory council to direct research and encourage the growth of this new industry. Walcott wanted to re-open Langley’s aeronautical workshop at the Smithsonian to serve this function, but the Smithsonian was just one of several organizations that were vying for this honor – and its attendant funding. When the opportunity came to rebuild and fly the Aerodrome, Walcott moved quickly to make it happen. A successful flight, properly presented in the press, would go a long way toward restoring the Smithsonian’s reputation. This in turn might convince Congress that the Smithsonian would be a good place to conduct aeronautics research. Within days of concluding an agreement with Curtiss, he shipped the remains of the Aerodrome to Hammondsport. Once Curtiss got his hands on the old aircraft, he discovered problems and weaknesses that affected its airworthiness. He chose not to launch it in its original condition and instead made changes that would enhance its performance, controllability, and structural integrity. The aircraft that flew in Hammondsport was, as Brewer had claimed, not the same that Langley had tried to launch in 1903. Curtiss and the Smithsonian, however, insisted it was close enough. No matter, the flights did not achieve their objectives – events marched past the Hammondsport trials. Congress created the National Advisory Council for Aeronautics (NACA) independent of the Smithsonian, and NACA created a patent pool, the Manufacturers Aircraft Association (MAA), that resolved Curtiss’ patent dilemma. By this time, the Smithsonian had changed Secretaries again. Charles Abbot had taken over for Charles Walcott when the latter died. Abbott was a close personal friend of Langley and was every bit as mindful of Washington politics as Walcott. He tried to negotiate a truce with Orville in 1929, but balked when Orville demanded he publish a list of changes that had been made to the Aerodrome and to retract the statement that it was capable of flight in its 1903 configuration. Abbott told Orville that he could not do anything that would embarrass the Smithsonian or the late Walcott. He balked again in 1934 when Charles Lindbergh tried to mediate the disagreement. But Abbot finally acceded in 1942 when Fred C. Kelly informed him that he was writing an “authorized” autobiography of the Wright brothers and had promised Orville that he would mend fences if he could. Kelly warned Abbott that this biography would have a section on the Wright/Smithsonian controversy. If the book went to press with the controversy unresolved, it would be a source of embarrassment for decades. Furthermore, Orville was an old man. If he died before amends could be made, the embarrassment would be permanent. It would be better to end the standoff, even if the Smithsonian had to admit it was wrong. In a Smithsonian Miscellaneous Report, issued in 1942, Abbott published the list of changes that Orville had asked for, admitted the 1914 test flights did not prove the Aerodrome was capable of flight in 1903, and apologized for the affair. The above document had many links, which I removed, that expand on the facts presented. I would encourage you to click on the source document above and go to the original text and explore those links. Have a good weekend, enjoy time with family and friends, and remember to stop by next week when we will talk about…………….